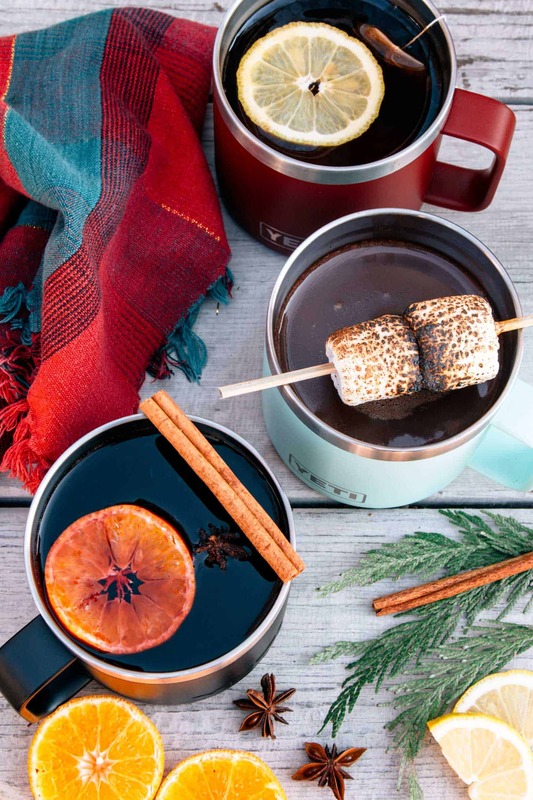 Whether you’re a late season camper, tucked away at your ski cabin, or just cozying up at home, these warm winter cocktails will hit the spot. 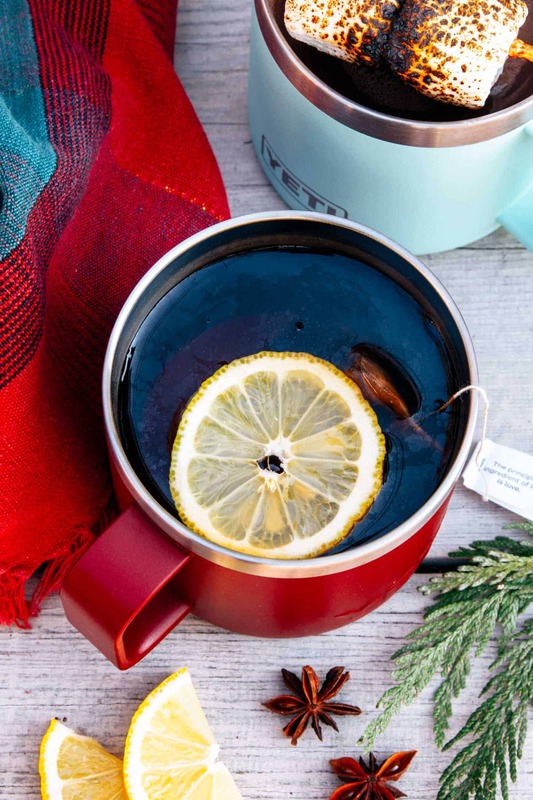 With winter ramping up and the holidays right around the corner, who couldn’t use a nice, warm drink to take the edge off? These cocktails will help warm you up this winter while keeping you in good spirits all season long. All three of these recipes can be scaled so you can easily make enough for a crowd, or keep things simple and enjoy a mug with a friend. To see just how easy these cocktails are to make, check out this video we produced in partnership with Outside Online! 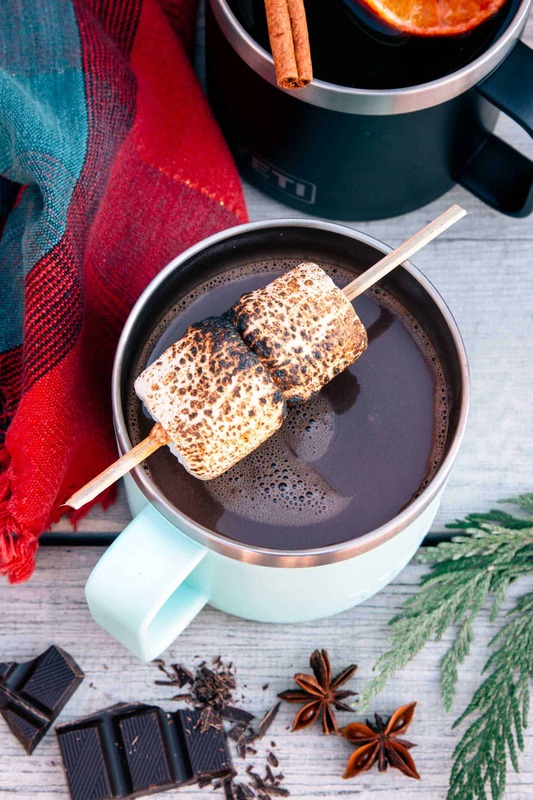 This boozy, rich hot chocolate is a cinch to make and tastes a million times better than the average powdered cocoa mix. Pour the milk into a small pot and gently heat over medium-low until steamy. Whisk in the sugar, cocoa powder, and chocolate chips. Split between two mugs, then add 1.5 oz Irish cream to each. Stir to combine. Serve with a toasted marshmallow and enjoy! Simmer this on the back burner while you cook dinner and the aroma will definitely put you in the holiday spirit. Pour the wine and maple syrup into a pot. Squeeze the juice of the orange into the wine, then add the spent oranges, sliced ginger, star of anise, and whole cloves to the pot. Simmer over medium-low heat for about 30 minutes. Divide between mugs and enjoy! Hot toddies are one of our favorite winter nightcaps. The warming spices of black chai tea make this version especially cozy. Pour 1 tablespoon honey into each mug. Divide the tea between the mugs, then add 1.5 oz whiskey to each. Stir to combine. Serve with a slice or two of lemon. We’ve been loving these oversized insulated Yeti mugs for our cold-weather drinks. Or, if you are looking for drinkware that is a little more reasonably sized, these 10 oz Hydroflask rocks tumblers are a great choice. Both options are rugged enough to take camping but classy enough to use indoors as well. Thank you for the winter recipes! The temperature is -10 Celsius in my place. 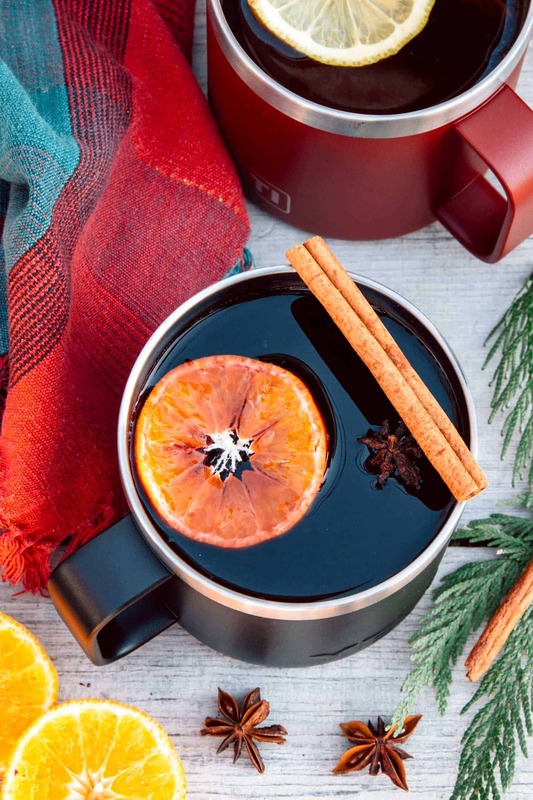 It’s high time for a cup of mulled red wine to warm up! Had the whiskey spiked chai hot toddy after a New Year’s Day hike. Just the ticket for a great way to warm up!